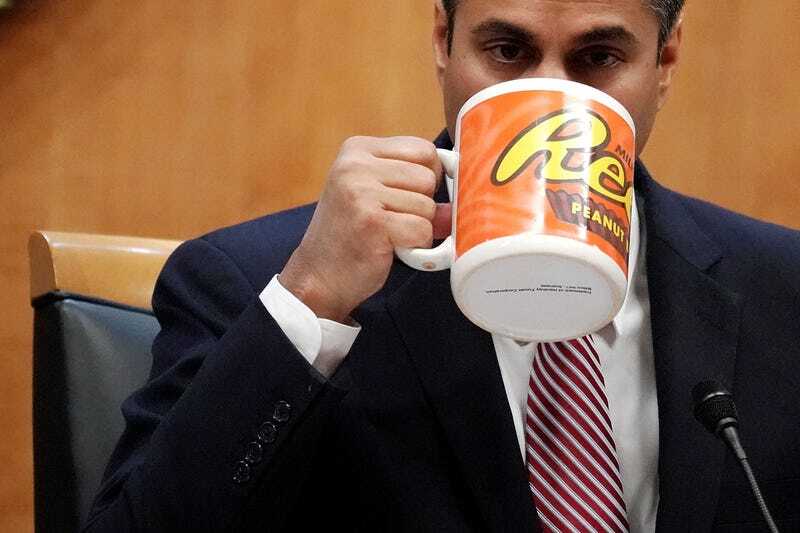 Every time I see a picture of Ajit Pai, I want to kick him in his Reese’s cup. In 2016, the U.S. Court of Appeals for the D.C. Circuit upheld a lower court ruling that favored the 2015 net neutrality rules put in place by the Obama administration Federal Communications Commission. Several internet providers took their fight to the U.S. Supreme Court, hoping the court would throw out the ruling. On Monday, those same internet providers were probably very disappointed when the Supreme Court declined their appeal. As NBC News reports, the Supreme Court’s ruling leaves in place the Circuit Court ruling that said the FCC acted legally when it put those rules in place. This ruling is especially significant given the current battle over the FCC’s 2017 repeal of those same rules. The Circuit Court ruling is the basis for several legal challenges that have been waged against the FCC’s repeal. Jessica Rosenworcel is the only Democratic FCC Commissioner. She and former Commissioner Mignon Clyburn were very vocal advocates for net neutrality (Clyburn stepped down from her position after eight years earlier this year). Rosenworcel called the Supreme Court’s ruling “interesting” on Twitter Monday. “Let’s call this interesting,” Rosenworcel added. FCC Chairman Ajit Pai believes the Obama era protections were a form of “micromanaging” the internet. With the FCC’s repeal of those protections, the Federal Trade Commission was put in the position of preventing anti-competitive behavior on the part of internet service providers. The new rules leave a lot of room for internet service providers to find ways to skirt policy enforcement. The FTC is only able to take action against a company that violates the trust of its customers. If a company discloses what it is doing—for instance putting out a notice that it will block any content that doesn’t come from one of its subsidiaries—then it would be in the clear. That does not bode well for consumers. As such, there are many states that are putting laws on the book that form their own net neutrality rules. Additionally, 21 states and the District of Columbia have filed a lawsuit against the FCC over its repeal of the net neutrality rules. Newly minted Justice Brett Kavanaugh did not take part in Monday’s ruling because the appeal came from his former court. Sen. Ed Markey (D-Mass.) touted Monday’s ruling as a victory.